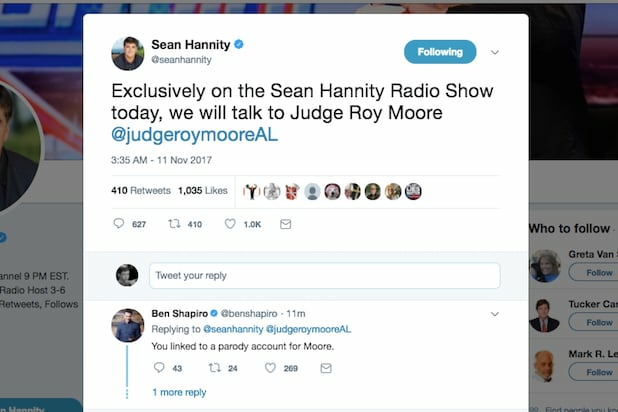 “Exclusively on the Sean Hannity Radio Show today, we will talk to Judge Roy Moore @judgeroymooreAL,” Hannity wote, tagging the judge in his tweet. The only problem is that Moore’s twitter handle is @MooreSenate and Hannity’s tweet tagged @judgeroymooreAL — which happens to be a pretty nasty parody account. “Wholly unqualified candidate for #ALSEN,” reads the parody account, which is also explicitly labeled. 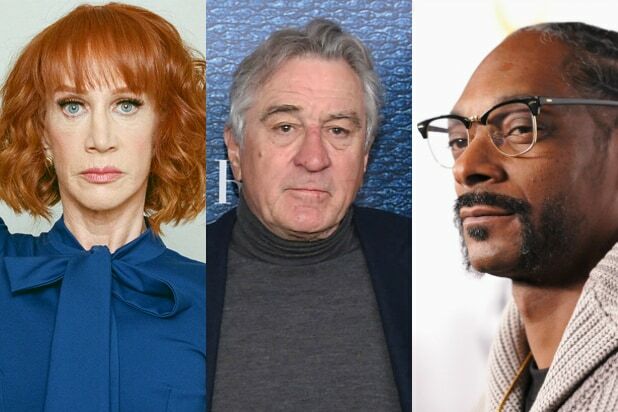 The screw-up was immediately noticed by blue check media types in the comment sections. You linked to a parody account for Moore. Moore faces a growing scandal after the Washington Post published accounts of multiple women alleging Moore engaged in inappropriate sexual behavior several decades ago including with a girl who was just 14 years old at the time. Despite being abandoned by much of the political class, Moore has strenuously denied the allegations and has vowed to press on with the campaign.